Online learning provides students with an independent environment and the ability to take classes off campus. Through the use of modern media, students can receive weekly lessons, complete assignments, and communicate in a virtual classroom setting. Taking classes online allows more schedule flexibility, reduces the time you spend commuting, and brings college right to your fingertips. You must complete The Start Guide for Online Learning before you can register for your first online class. 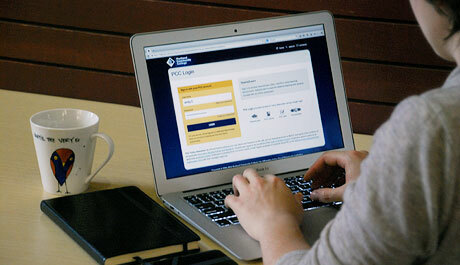 Log in to your online class through MyPCC.